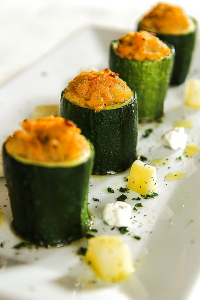 Sometimes, when only a few ingredients remain into the fridge and there isn’t time to go to the grocery, arise very tasty dishes that win over with their simplicity. This happened in my kitchen, yesterday at lunch; Opening the refrigerator, among the few things left, a beautiful cauliflower catches my attention. How can prepare it? I wondered. After thinking about it a bit ‘ I go for a quick steaming. When the cauliflower was steamed, I let it cool for a few time; Meanwhile I do wonder how accompany him. Into the drawer of the cheeses I see a beautiful slice of feta cheese; Its slightly sour taste fits perfectly with the cauliflower. I reduced the cheese into cubes, stirred it with sprigs of cauliflower seasoning with olive oil, a pinch of salt and a generous sprinkle of black pepper, Et voilà, my cauliflower salad for a tasty and healthy lunch was ready! Discard the cauliflower’s leaves, then with separate tufts from the stem with a little knife. 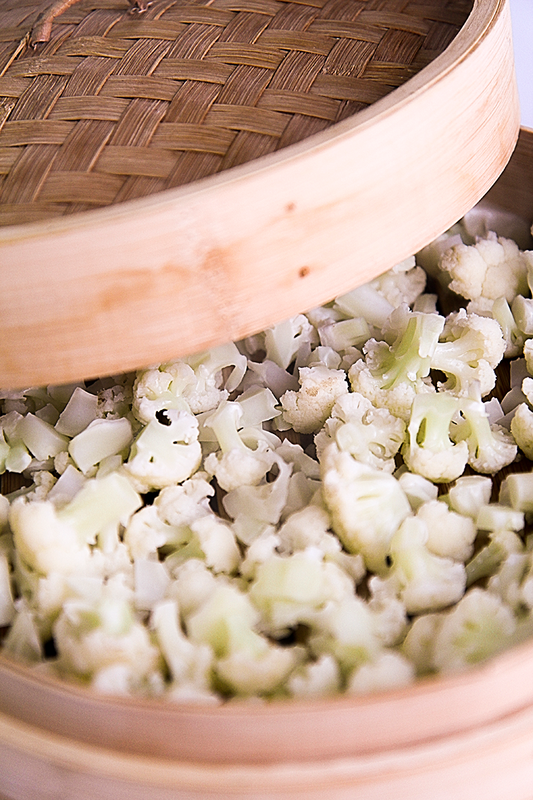 Wash the cauliflower and cut its stem into small cubes. Steam the cauliflower for 5 minutes, pouring 1 tsp white wine vinegar into the water; the cauliflower must remain crunchy! Let it cool quickly. Sometimes, when only a few ingredients remain into the fridge and there isn't time to go to the grocery, arise very tasty dishes that win over with their simplicity. This happened in my kitchen, yesterday at lunch; Opening the refrigerator, among the few things left, a beautiful cauliflower catches my attention. How can prepare it? I wondered. After thinking about it a bit ' I go for a quick steaming. When the cauliflower was steamed, I let it cool for a few time; Meanwhile I do wonder how accompany him. 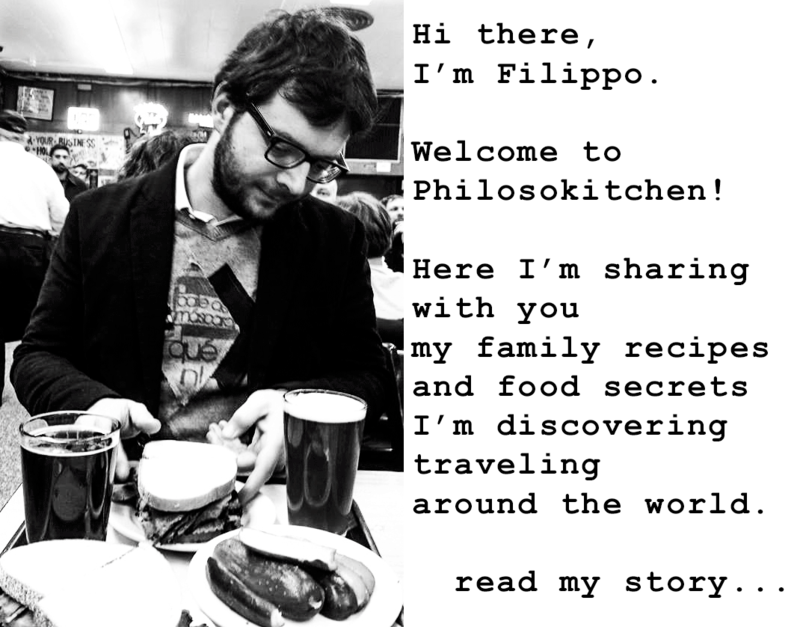 Into the drawer of the cheeses I see a beautiful slice of feta cheese; Its slightly sour taste fits perfectly with the cauliflower. I reduced the cheese into cubes, stirred it with sprigs of cauliflower seasoning with olive oil, a pinch of salt and a generous sprinkle of black pepper, Et voilà, my cauliflower salad for a tasty and healthy lunch was ready! SEAMED CAULIFLOWER Discard the cauliflower’s leaves, then with separate tufts from the stem with a little knife. Wash the cauliflower and cut its stem into small cubes. Steam the cauliflower for 5 minutes, pouring 1 tsp white wine vinegar into the water; the cauliflower must remain crunchy! Let it cool quickly. 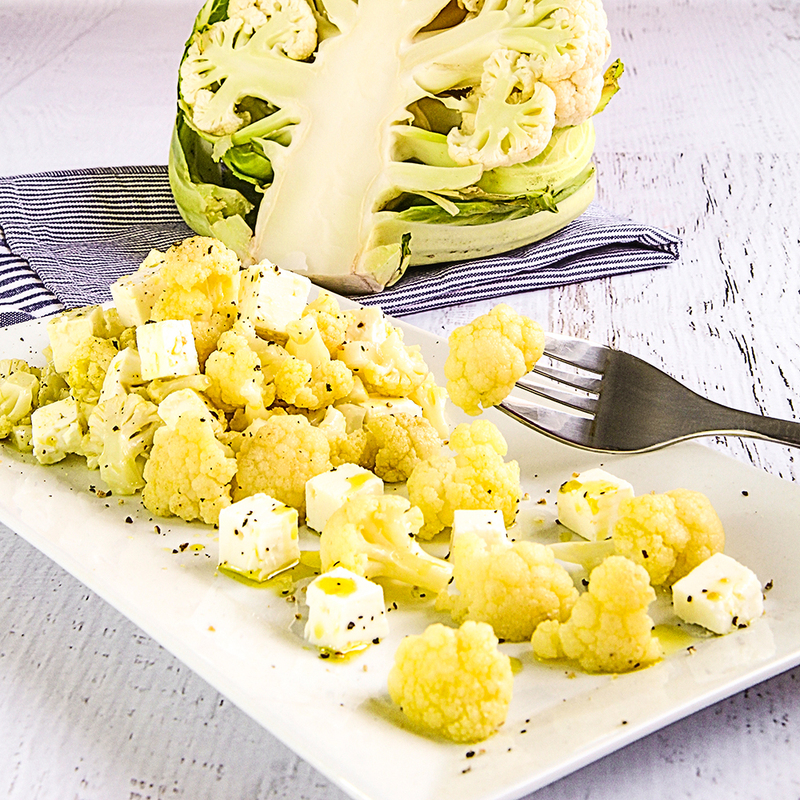 Chop the feta cheese into small cubes and mix them with the cauliflower. Finally, season with olive oil, a generous sprinkling of black pepper and a pinch of salt (not too much, feta give a much salty flavor). 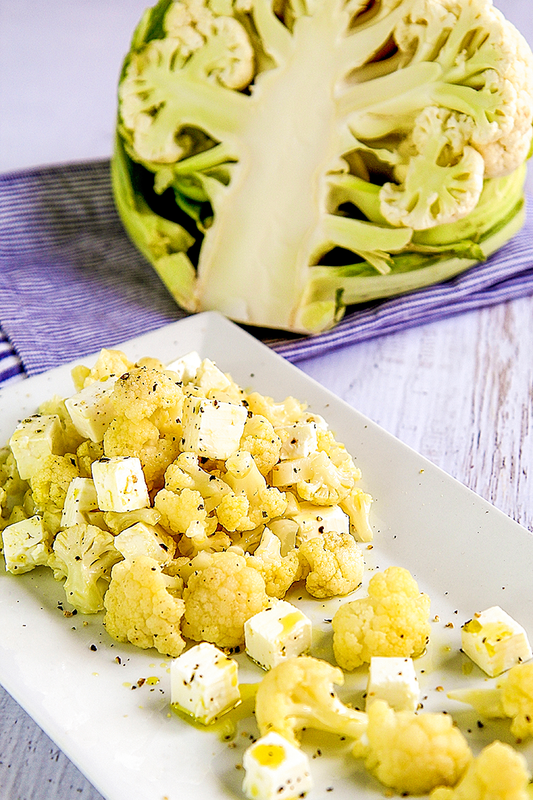 Serve the cauliflower salad cold or at room temperature.